Brussels, 7 April 2011 – EPACA supports the European Parliament’s review of their rules to increase ethics and transparency, including the call for a mandatory register. As we have stated before, any efforts to develop policies on transparency within the EU institutions that go beyond the content of the draft agreement on the establishment of a joint ‘Transparency Register’ would be best handled through mandatory legislation with specific, clear definitions applied equally to all lobbyists, whether housed in an NGO, a consultancy, a law firm, an association, a company, a think-tank or anywhere else. EPACA has been a very strong supporter of efforts by the European Commission and the European Parliament to make sure that the functioning of those institutions and their interactions with all external stakeholders are transparent. We have actively supported the voluntary register of the European Commission and welcome the expected arrival of the voluntary joint Transparency Register of the Parliament and Commission in June, 2011. EPACA would be pleased to continue its work with the European Parliament, if it chooses to engage in dialogue with outside stakeholders on the establishment of any new rules. We welcome rules that address the problems that exist while recognising that ethical, transparent lobbying is an important part of policy development in a democracy that provides policymakers with the views of a wide range of affected interests including NGOs, industry, and others. 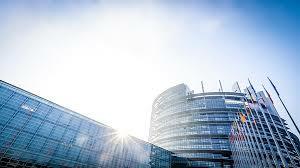 The Parliament is absolutely right to focus its attention primarily on standards of behaviour for MEPs, as this was the problem identified by the recent scandal – which did not involve a real lobbyist. Restricting access to those who bring essential information for the democratic process would not address the issue. Inevitably, however, the debate will include reforms that apply to lobbyists. Ensuring that any new rules adopted are applied equally and fairly to all lobbyists is critical. Hopefully, these rules will be developed in a way that promotes legitimate contact between the European Parliament and the wide range of interests with which it interacts every day, and also in a way that ensures that all such lobbying is ethical and transparent.